Thalgo Collagen Cream targets the appearance of the first visible signs of ageing for women between 25 and 30 years. 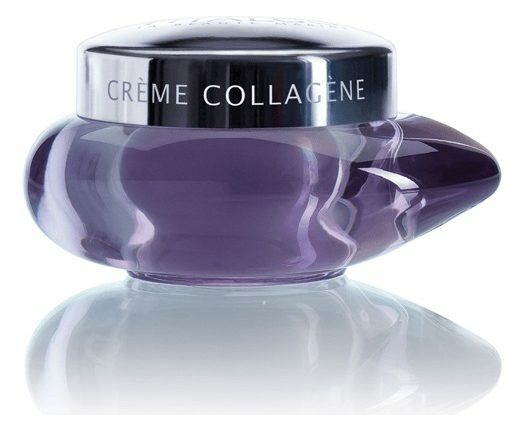 This silky cream, with its fine powdery texture, helps prolong and preserve the skin’s youthful look. Collagen peptides help to plump skin, leaving it smooth and radiant. The skin is moisturised and regenerated, fine lines and first wrinkles appear visibly smoothed. For dehydrated or normal skin types Collagen Cream is applied to thoroughly cleansed skin in the morning and/or evening on its own, or after the Collagen Concentrate. Active ingredients include Native Marine Collagen to moisturise and smooth wrinkles and surface lines, and help boost cell regeneration. Fragmented Collagen + Soy Extract helps boost collagen synthesis, smooth fine lines and first wrinkles.